Image originally used for Serious EatsEating seasonal is of interest to everyone these days, and the freshest produce in the world of sweets right now is corn--candy corn, that is. But in the same way that one might want to meet the producer, why don't we get to know the backstory behind those little sugary cones of delicious sweetness? 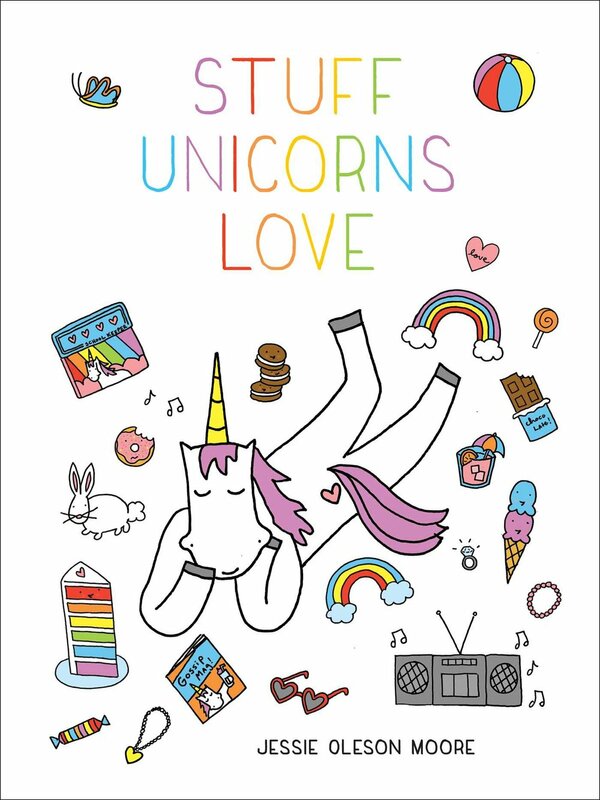 First off: Who invented Candy Corn? According to this article, "Bill Plumlee, the public relations manager of Brach's Candy Co., said George Renninger of the Wunderlee Candy Co. created candy corn in the 1880s." Creators chose the three colors of candy corn, to reflect the colors of the real thing. "It's supposed to mimic corn," Plumlee said. "Yellow on top, darker as it goes down and whitish as it nears the end." Now, I have to squint really hard to see it that way, but maybe the inventor had very poor vision (or maybe he was color blind?). The design apparently made it popular with farmers when it first came out, but it was the fact that it had three colors - a really innovative idea - that catapulted it to popularity. Our beginnings are traced back to a family named Goelitz. When two young brothers emigrated from Germany to make their mark in America, they set the family on its candymaking course. In 1869, just two years after arriving in America, Gustav Goelitz bought an ice cream and candy store in Belleville, Ill., and his brother, Albert was sent out in a horse drawn wagon to sell their sweets to nearby communities. Then the second generation of the family jumped on the band wagon of candy innovations by making a new type of candy, then called "buttercream" candies, including Candy Corn, a sweet we've made since about 1900 (and still use the same recipe). These candies carried the family through the Great Depression and two world wars. Today, the great-grandsons of Gustav Goelitz, the fourth generation, are still carrying on the tradition of making candy. Was it always a Halloween treat? Interestingly, as I found on Food Timeline, candy corn wasn't always strictly associated with Halloween, but more with fall--the transition to "Halloween Candy" was perhaps a subtle shift: "Candy corn, like many other candies we enjoy at Halloween, was promoted as treats for Halloween by candy companies after WWII." (a time when, by the way, the art of Trick or Treating really began in earnest). 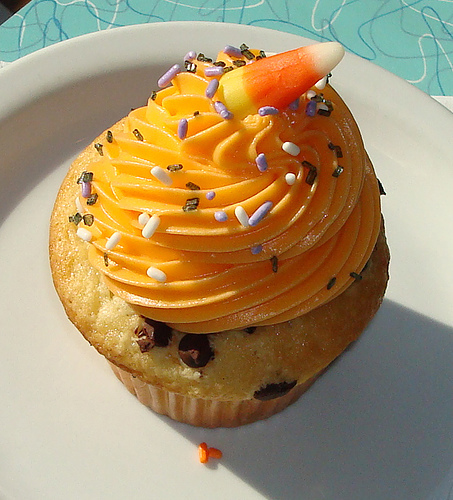 As the writeup goes on, "Candy corn might have been especially popular because it was also a seasonal (fall) confection. Popcorn balls and candied apples are other seasonal (fall) treats conventinetly transitioned to Halloween." In the early days, making candy corn was hard work. It was done by hand. The ingredients were cooked in huge kettles. Then, the hot candy was poured into buckets. Men poured the liquid candy corn from the buckets into kernel-shaped trays. The workers had to make three passes to create the white, yellow and orange layers. 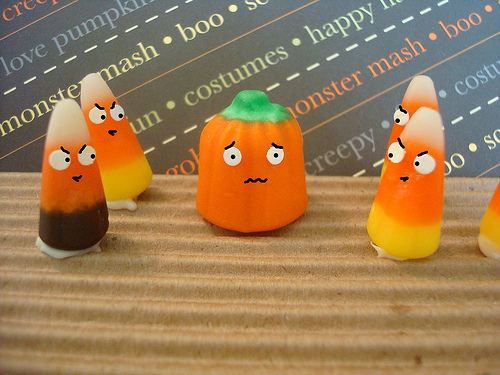 Production was so labor-intensive the candy corn was made only from March to November. Originally, candy corn was made of sugar, corn syrup (not HFCS), fondant and marshmallow, among other things, and the hot mixture was poured into cornstarch molds, where it set up...The recipe changed slightly over time and there are probably a few variations in recipes between candy companies, but the use of a mixture of sugar, corn syrup, gelatin and vanilla (as well as honey, in some brands) is the standard. 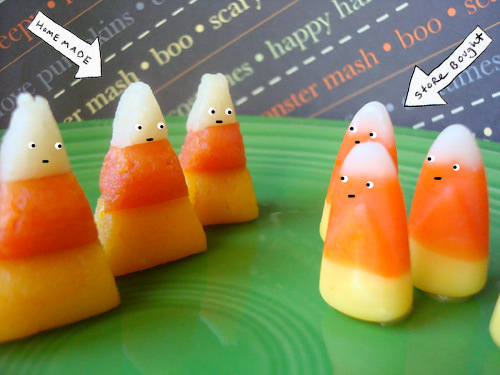 Of course, if you're brave, you can make candy corn at home too. I did it last year, for Serious Eats. How do Mellowcreme Pumpkins play into it? Candy pumpkins first were produced in mid 20th century using a process similar to that of candy corn. Corn syrup, food coloring, honey, and sugar are beat and heated in large kettles to produce an ultra-sweet syrup. This slurry generically is called "mellowcreme" by confectioners, since the resulting candy has a mellow, creamy texture. They are said to appeal in a different way than candy corn because their different volume and weight makes for an "interesting texture". And in case you were wondering--yes, I prefer Mellowcreme pumpkins to candy corn. Even if you believe, like Serious Eats, that candy corn is "the fruitcake of halloween candy" and one of the 10 worst Halloween candies to give out, there's no denying its iconic status as a Halloween classic, and whether it's because of its classic look or simply because it's slowly going stale in your goodie bag, it's not going anywhere.